Adoption is hard. No matter what side of the triad you are on, there are challenges. Adoption is a loss for everyone. Many adoptive parents feel grief for their infertility and sometimes even guilt for adopting someone else’s child. Birth parents grieve the loss of their child and the shame that society places on them. Adoptees have no say in the matter, they are taken from their biological families and placed into adoptive families. Sometimes they grieve the loss of their birth parents and feel isolated or abandoned. No one in the adoption triad will tell you it’s been an easy journey. But without a doubt, the pain is worth it. Being a hopeful adoptive parent is hard work. Piles of paperwork, home visits, background checks; so much hurry and then wait. Trying so hard to come up with the thousands of dollars it will cost to take their baby home. So many of them get their hopes up only for a match to fail. But eventually things go right, and their dreams of parenthood do come true. I’ve never met an adoptive parent that said the joy of holding their sweet baby in their arms wasn’t worth all the effort it took to get them there. My birth daughter’s adoptive family is one of the happiest I’ve ever seen. They never take their children for granted, and they love them with all their hearts. The journey of a birth parent is painful. I know because I walked it. Choosing the right thing for my baby was the hardest choice I’ve ever had to make. Facing the fact that I was not what my child needed, broke my heart. I miss her every day, and I cried for her for weeks and months afterward. Even now, years later, I feel the wounded corner of my heart that will never quite heal. But I have found peace. I know that the beautiful little girl I carried is stable and secure. She is loved, she is safe, she is happy. Being given the opportunity to watch her grow through an open adoption eases my pain. I know I did the right thing for her, and that for me is worth it. Being adopted can’t be easy. Some adoptees don’t know their birth parents or their story. Even the ones that do might struggle with the fact that they were born into difficult circumstances. Adoptees might miss their birth family, or they might resent them. 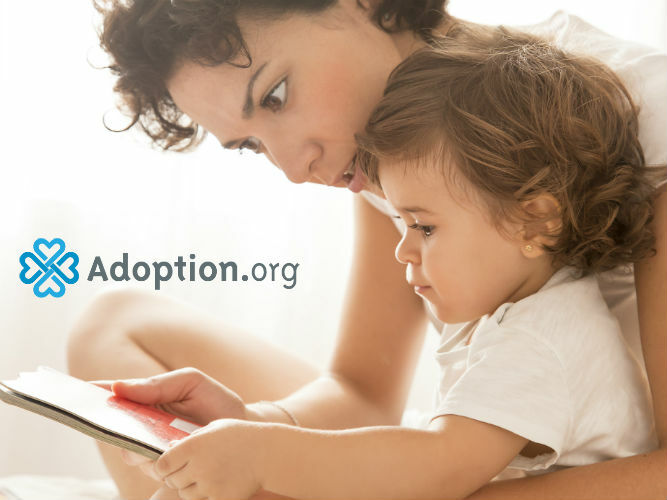 Being adopted means that you have a complicated story from the beginning. As I watch my birth daughter grow, I can’t help but believe that it will be worth it for her. She will grow up safe with the world at her fingertips. She has parents and a brother who love her immensely. And she has me to answer any of her questions and help her know that I placed her out of love. Everyone has a different story. Some may have a wonderful adoption experience, and others might not. Like any other trial in life, there are pros and cons that shape who you are. But for those that I know, adoption has been deeply, overwhelmingly, wonderfully worth it.